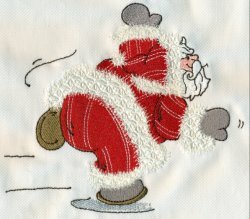 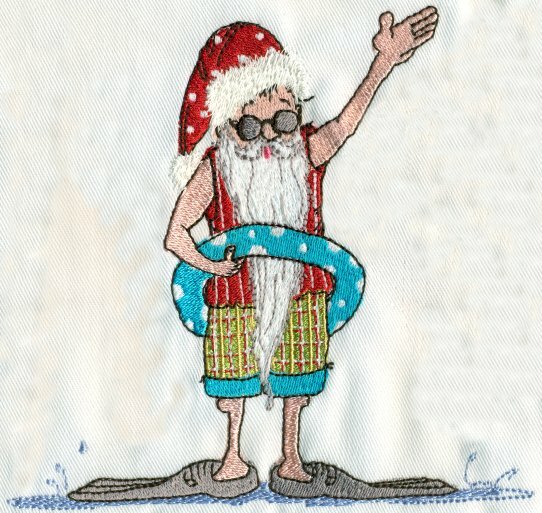 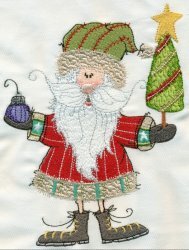 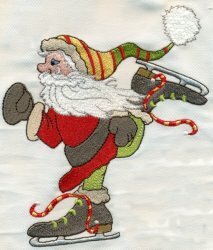 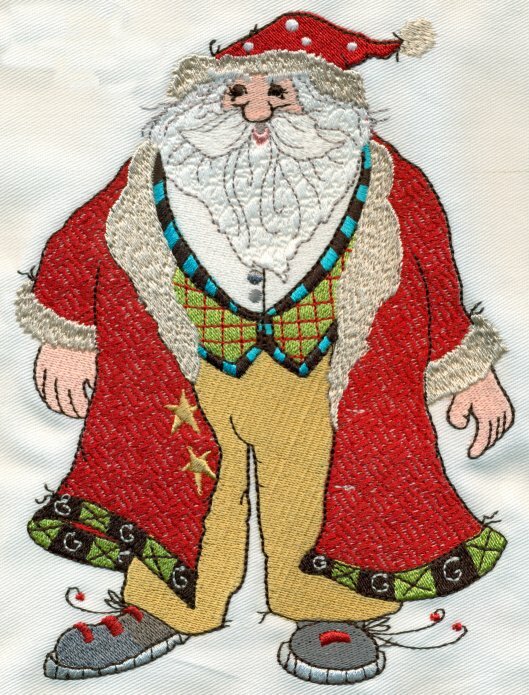 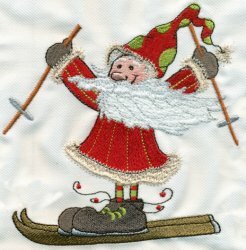 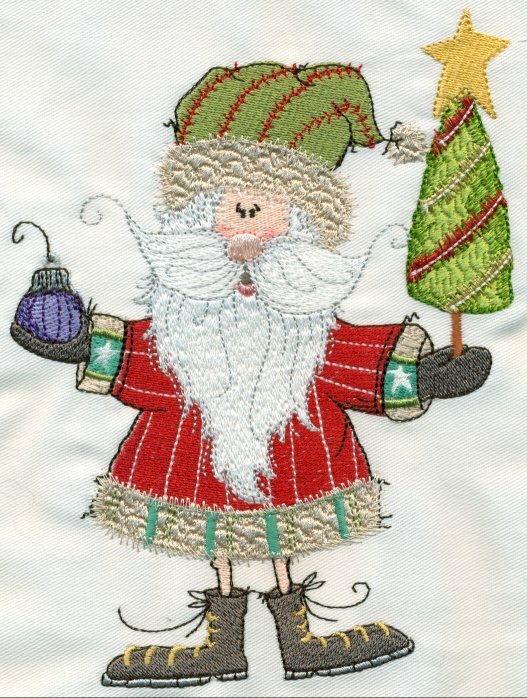 10 delightfully sassy and exquisitely detailed Santa designs in two sizes PLUS a FREE one to download! 5.08x5.38 inches; 23,471 stitches PROJECT IDEA! 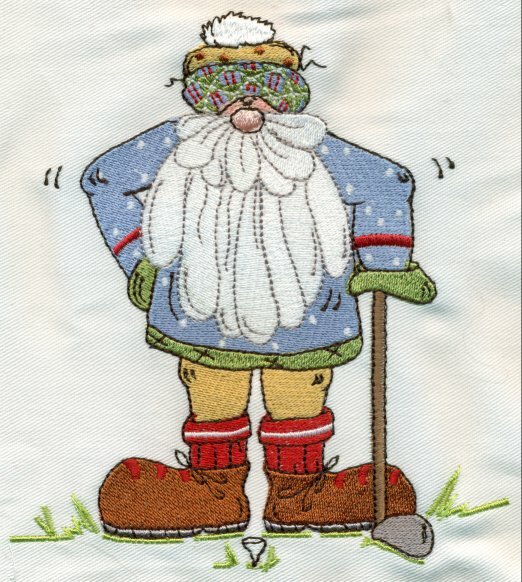 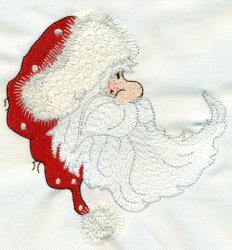 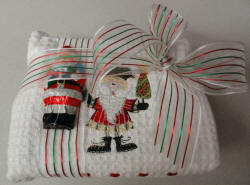 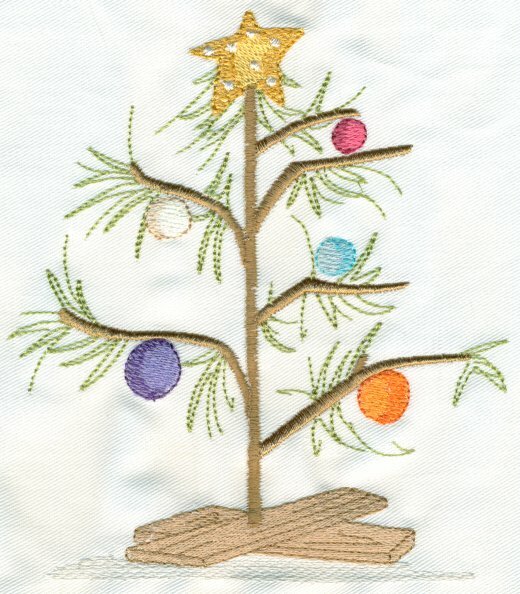 Another creative idea from Nancy R. She stitches the design on a kitchen towel, then uses the towel to wrap her gift in. 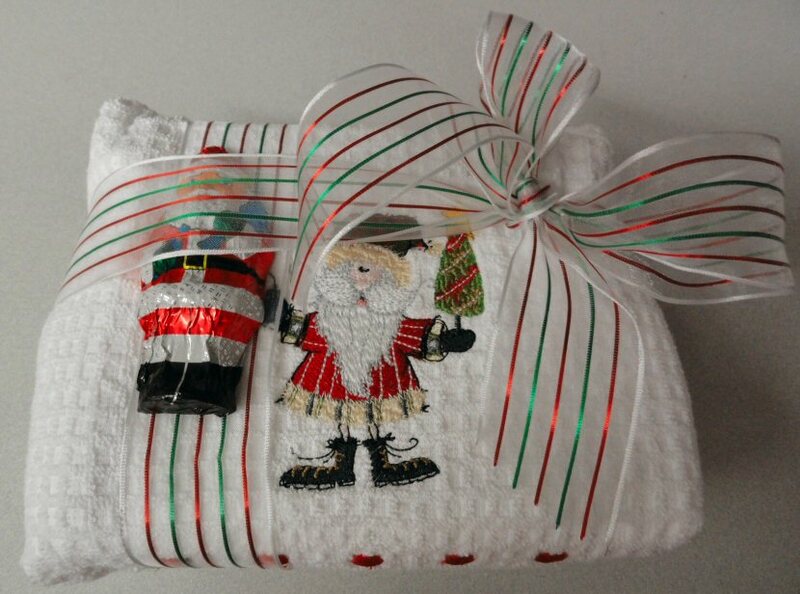 Ties a ribbon around it and inserts a chocolate candy. 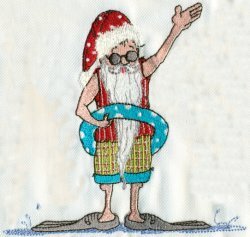 Don't you just love this idea? 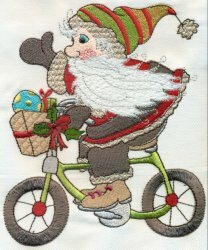 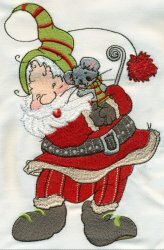 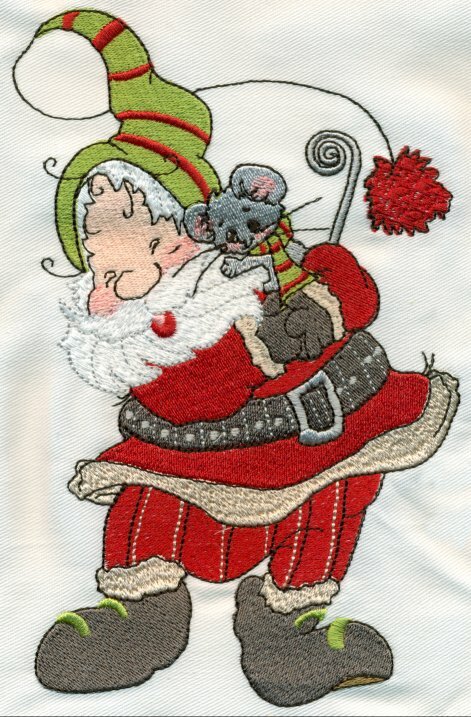 The price of Sassy Santas Design Collection is $30.